The Female Factor – Does your team have it? The workshop is and interactive journey. it is dedicated to assisting individuals find the personal leadership skills necessary to create a meaningful work environment. One that allows individuals to make a positive difference in the lives of the people they are responsible to lead. A Reality: While the majority of companies ensure that their supervisors receive specific training in safety, technical issues and company procedures, the importance of helping develop people management skills is often ignored. Gordon McGunity has worked in the construction industry since he was fourteen years old. He has been an asphalt foreman, a superintendent, a construction company owner has worked with small and large multinational corporations, and has motivated and managed people for over thirty years. In short he has been part of the 80% workforce. The Working With Workshop is a full-day seminar on developing people skills. it is fast-paced and interactive, designed to stimulate the participants and have them examine themselves and how they manage people in the organization. The workshop is entertaining and, most important, practical. McGuinty tells real stories about real events, and what he learned from his thirty years in the industry. When Gordon speaks, whether on his leadership views, his business experiences or his personal journey, his real strength is his ability to relate to any audience. He delivers a stimulating motivating and entertaining talk that people are sure to remember. A proven leader and an outstanding Speaker. Building on his thirty years of working with people, Gordon shares real life motivating experiences with his audiences. 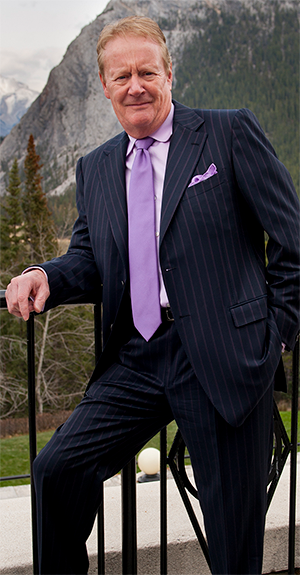 During his thirty years as an entrepreneurial businessman, Gordon negotiated and structured joint ventures with multi-national companies in Canada, the USA and Europe. He has run construction companies in Canada and the US, consulted to small business on start-up and expansion strategies, raised equity financing, and negotiated for numerous large ventures. Gordon was directly responsible for the approval of the largest landfill in Canada. As an author, his book TRASHED is a thought provoking non-fiction account of how business interacts and its impact on politics, the environment and the media. When Gordon speaks, weather on his leadership views, his business experiences or his personal journey, his real strength is his ability to relate to any audience. He delivers a stimulating motivating and entertaining talk that people are sure to remember. During the fourteen years working to develop one of Canada’s largest and most controversial infrastructure projects, Gordon McGuinty has spoken over 400 times to a diverse range of audiences. The forums included municipal leaders and councils, business groups and associations, environmental opposition groups, universities and the general public. With the broad range of experience gained, combined with the lessons learned in owning and managing his own companies, he brings a practical and positive message on politics, the environment and the media and how these can, and will, affect the development of major projects.